They are mild enough to soothe baby's bottom during a diaper change. The wipes can also be used to gently cleanse baby's skin. The natural ingredients ensure that baby remains bacteria-free throughout the day. 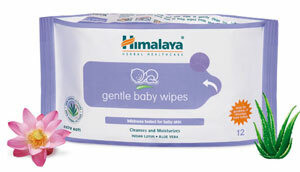 Gentle Baby Wipes are ideal for use when travelling. Packs of 12s, 24s and 72s.